"Don't stick it to the man. Instead, stick it to the can!" 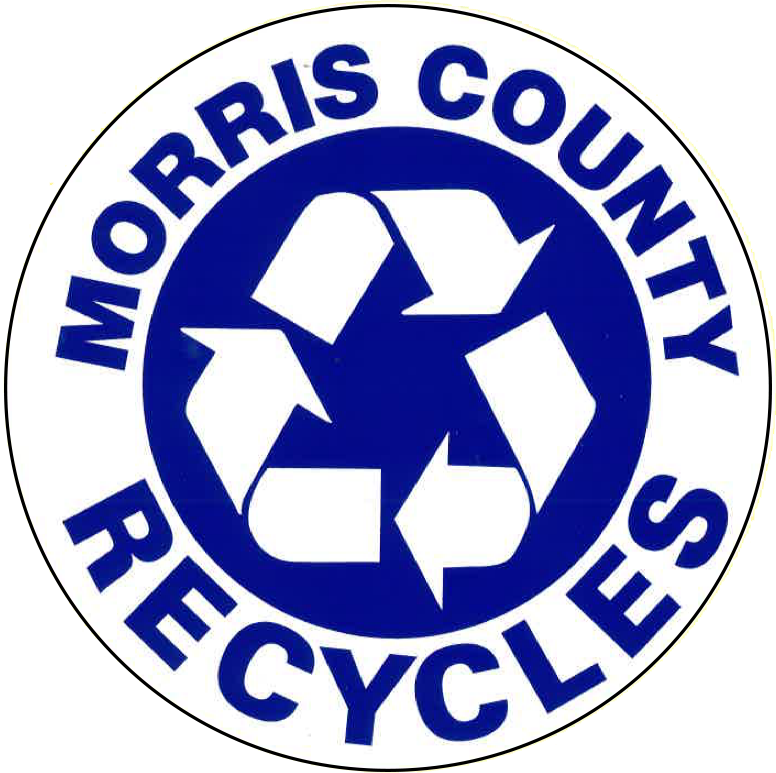 The MCMUA provides recycling and trash container decals free of charge to Morris County residents and businesses who request them. Some of the decals are available in both English and Spanish. 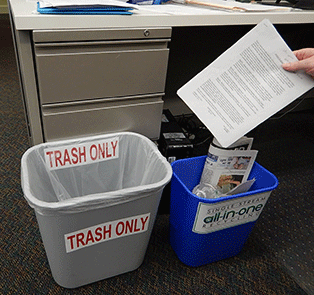 Anyone with questions about appropriate decals to use should contact his/her municipal recycling coordinator or in the case of a business, the person who coordinates the recycling program at the business. It is suggested that two decals be put onto each container; one on the front and one on the back. Not from Morris County, NJ, and you want decals? To find a local vendor to print decals, look in the following sections of the Yellow Pages: Advertising Specialties; Decals, Labels; Screen Printing. In addition, consider doing a search on the Internet. Below are samples of the available decals. To request decals, please call the MCMUA at 973-285-8389 (8:30am-4:30pm, Monday - Friday) or email us at info@mcmua.com. Below are recycling and trash decals created, reproduced and supplied by the MCMUA. 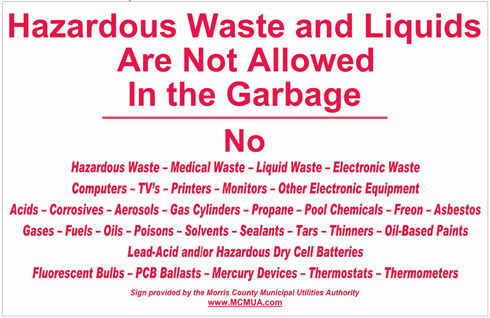 The large (11"x17") red and white ones are designed to put onto outdoor garbage dumpsters and roll-off containers by haulers to inform their customers that mandated recyclables and/or hazardous wastes are not permitted to be put into the garbage. The larger ones (3-3/4" x 15") are sized and designed to be placed primarily on outdoor containers, while the smaller ones are more appropriate for indoor containers. Many are available in Spanish as well as in English. 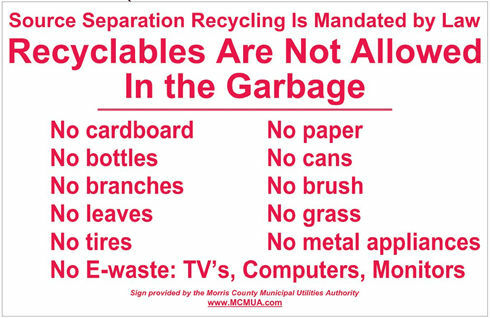 Used exclusively for the MCMUA's "All-in-One" single-stream recycling program where the materials are recycled at ReCommunity Recycling in Mine Hill. 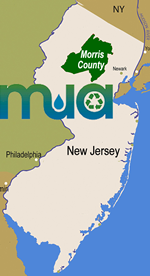 Used for generic (non "All-inOne") single-stream recycling programs.